Île-de-France Mobilités and Société du Grand Paris ordered 23 three-car additional trains for metro lines 16 and 17 of the Grand Paris Express with a total value of EUR 100 million. This exercise of option is part of the contract signed in September 2018 for 25 trains six-car trains which are currently being developed at Alstom’s site in Valenciennes Petite-Forêt. The first metros will leave the factory in 2022, with initial entry into commercial service planned for 2024. The new trains will be able to circulate at speeds of up to 110 km/h in driverless automatic mode. 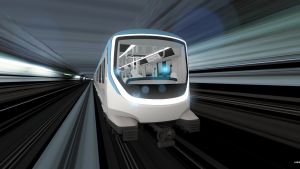 Île-de-France Mobilités will be making these trains available to future operators, thus enabling them to exploit new-generation material that benefits from the latest technologies and offers a high level of performance. Based on the solutions of Metropolis range, each train will be able to transport around 500 passengers in its three-car version (54 metres long) and around 1,000 passengers in its six-car version (108 metres long). The new material will be designed and manufactured by six Alstom sites in France.